Released in 2002 by Hasbro, the Queasy Bake Mixerator was a blender designed to complement the Queasy Bake Cookerator. Powered by two C-batteries, the blender’s colour scheme and ornamentation matched the oven, and the drink mixes were equally creative. By adding milk to the mixes, kids could make such disgusting-sounding, yet edible, concoctions as Sewer Sludge shakes, Blend-a-Booger & Fizz ‘n Foam Alien drinks, and Swamp snacks. 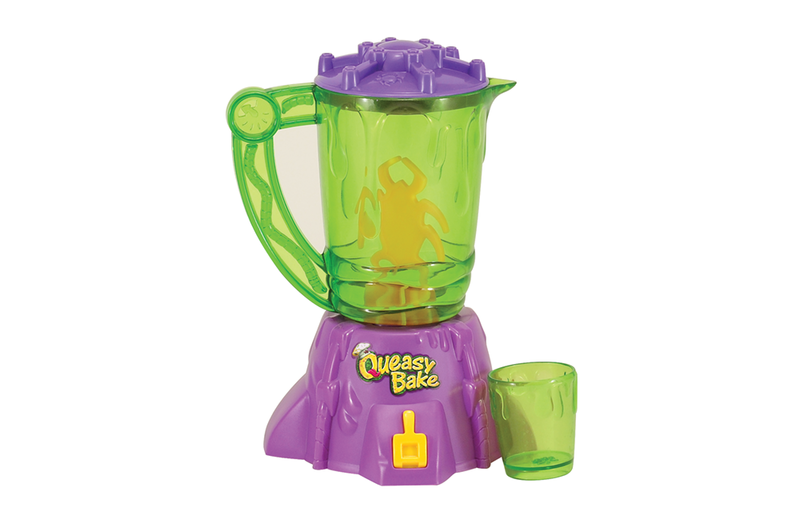 In 2003, the Mixerator was replaced with pre-packaged drinks called Queasy Bake Queasy Shakers that came in two flavours: Rusty Drain Pipe Drink Mix and Black Hole Vaporizer Drink Mix. The recent news of Russia's plan to build a permanent settlement on the moon by the 2030s caused me to revisit one of my favorite science-fiction television series, Space: 1999 and one of the sought-after toys that Mattel produced as a tie-in to the show: The Eagle 1 Spaceship.